Go-Jek, Indonesia’s first unicorn and leading ride-hailing and technology company, is seeking a permit to operate in the Philippines after incorporating a domestic affiliate, according to an official of the Land Transportation Franchising and Regulatory Board (LTFRB). Speaking during a congressional hearing on Thursday, August 30, LTFRB Board Member Aileen Lizada said that Go-Jek has filed an application for a provisional authority (PA), or a temporary permit to operate in the Philippines, even though it has yet to be accredited by the LTFRB. She added that the Indonesian startup, which is valued at more than $1 billion, has incorporated a local company called Velox Technology Philippines, Inc., during a technical working group meeting of the Committee on Transportation of the House of Representatives. A check with the Securities and Exchange Commission (SEC) showed that the company was registered on August 15, 2018. It was classified under “other information technology and computer service activities” industry. However, Entrepreneur Philippines could not independently confirm that Go-Jek is behind the formation of Velox Technology Philippines. The SEC has not yet uploaded the company’s articles of incorporation that list incorporators or shareholders. Go-Jek has yet to respond to emailed questions seeking confirmation it has formed a Philippine domestic corporation or applied for permit to operate with the LTFRB. Lizada expressed apprehension over the sudden arrival of the tech startup in the country. “We suspended the processing of new TNCs (transport network companies). Apparently, somebody was able to get in — this is Go-Jek. My apprehension is this: Go-Jek is too huge for the Philippines. It will wipe out our homegrown TNCs,” she said, speaking in both English and Filipino. 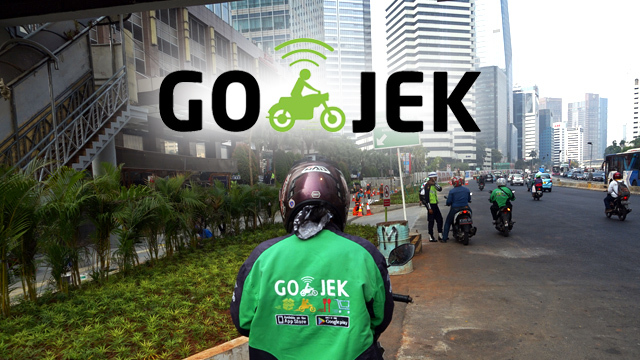 Go-Jek, which enjoys the support of Google of the US and Tencent of China, operates in 50 cities in Indonesia and announced plans to enter nearby markets such as Thailand, Vietnam, Singapore and the Philippines. It started as a motorcycle ride-hailing platform and has since expanded into car-hailing, logistics and financial technology. Its car-hailing unit, Go-Car, formed only in 2016, helped push Uber out of Southeast Asia and outgrew Grab as the most popular ride-hailing service in Indonesia, according to the Financial Times. Lizada disclosed that LTFRB has received an application from Go-Jek to operate even before it was accredited by the body. “That quite alarmed me,” she said. “I just checked with my staff to go to the office of Go-Jek, to do an ocular inspection together with an enforcer only to find out that they have virtual employees. There are no employees of Go-Jek there,” she said. It is not clear yet whether Go-Jek plans to introduce a motorcycle-hailing or car-hailing service in the country. Current regulations do not allow for motorcycle taxis to operate. LTFRB’s Department Order No. 2015-11 only allows cars, sports utility vehicles (SUVs) and Asian utility vehicles (AUVs) and vans as ride-hailing vehicles. Several bills have been filed in Congress seeking to allow single motorcycles for hire since 2008 but all are still pending.